Rancho RS999914 quickLIFT Loaded strut. Rancho RS999914 quickLIFT Loaded strut provides you with a quicker and more convenient way to lift your vehicle. 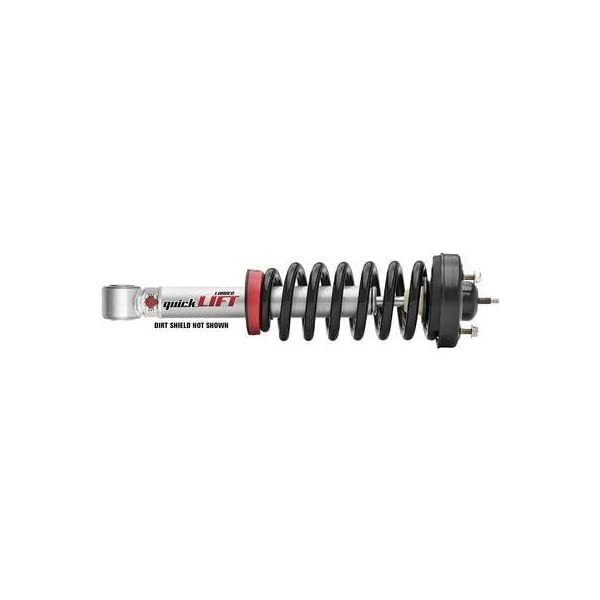 It comes completely assembled with a new coil spring and upper mount and features all the benefits of the original quick LIFT without the hassle of removing your old spring from the factory strut assembly and transplanting it to the new strut. The quickLIFT Loaded takes care of all of that saving you time and money, but with the same great end result. 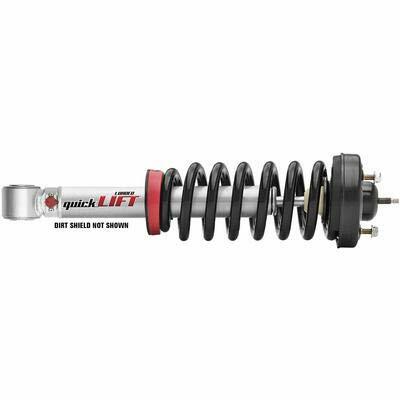 The quickLIFT Loaded is both a high-performance shock absorber and suspension lift built into one. It was engineered to raise the vehicle while improving performance on and off-road. Utilizes Rancho’s patented myRIDE technology giving you complete control over the ride quality of your vehicle with a 9-position control setting. Features a liquid-metallic finish. Sold individually with urethane bushings, red dust boot with zip tie, installation hardware, a Rancho decal, a Limited Lifetime Warranty, and the Rancho 90-Day Free Ride Offer. Allows the use of 285/70/R17 tires.